10% Off Mothers Day Gifts. Limited time offer. Up to 50% Off outlet items. No coupon code required. Click link to activate. 17% off Fast Stock items . No coupon code required. Click link to activate. 17% off Cowboy Hats . No coupon code required. Click link to activate. 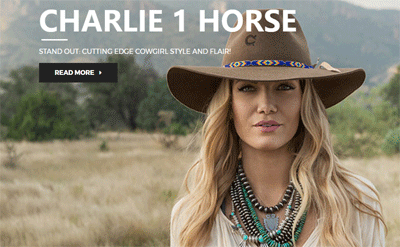 Charlie 1 Horse Cowboy Hats from $42.98. No coupon code required. Click link to activate. Fedora Hats from $29.98. No coupon code required. Click link to activate. Outdoor Hats from $14.98. No coupon code required. Click link to activate. 10% Off Your Order When You Sign Up. No coupon code required. Click link to activate. MLB Caps from $21.98. No coupon code required. Click link to activate. 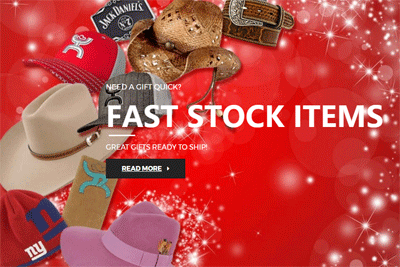 13% Off Deadwood Trading Hat. No coupon code required. Click link to activate. 17% Off Mexican Palm Cowboy Hat. No coupon code required. Click link to activate. Whether you live in the country or if you simply like the fashion style of cowboys and cowgirls, Hat Country is a retailer that deals exclusively in country oriented clothing and accessories. On their website you’ll be able to browse through their assortment of cowboy hats, cowboy boots, apparel, and other types of accessories.